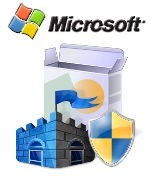 Microsoft has released an Anti virus Software and it’s free! It is quite a news to the techno-concerned people – both for Microsoft Lovers and Anti-Microsoftist!!! . First, Microsoft has released the Anti virus, which is the first anti virus release by this software corporation. The people who are just happy to always have Microsoft products- free or not, will say that, Microsoft understand the Windows Operating system better that any one else. So the Anti virus released by the Microsoft will definitely be more effective and efficient that any other anti virus. Let’s hope that those Microsoft lovers are right this time. The need for a reliable anti virus that will work on viruses, worms and other malicious coding and in the mean time will not slow down the performance of the computer is felt by all. People seem to switch over different anti viruses so frequently and either complain that, it can’t detect all the viruses or it’s slowing sown my PC. So we were expecting that Microsoft will come as an Olympian Hero in the near future. Let’s hope for the best. It seems like, Microsoft has gone one step further- by offering the Anti virus for free. The techno-people and basic computer & internet users who always speak against Microsoft are arguing that, it’s another Huge-name-zero-came product. They think that the free anti viruses, those are already in market and available for free download, are just fine. They are even questioning: “why Microsoft came at the competition at a last moment”. They even shown doubt whether it’ll be free or not later if it gains popularity. Some of them are even questioning the reliability of MORRO, which is the earlier release of the present version. No blame for them- they are quite correct in a sense. Other Blogs & Website by me…..
What ecommerce portal development is all about?